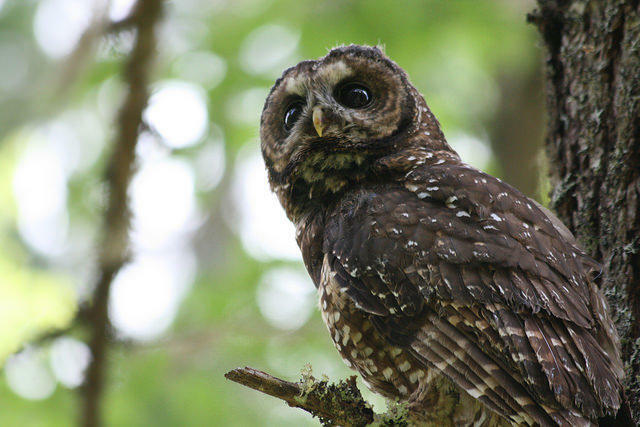 The Northern Spotted Owl, designated as threatened since 1990, continues to decline. The federal government has moved a step closer to designating the northern spotted owl an endangered species. The owl has been listed as threatened for a quarter-century, but its numbers continue to decline. The California-based Environmental Protection Information Center, or EPIC, petitioned to have the owl reclassified, and the U.S. Fish and Wildlife Service said this week that its initial review justifies considering that request. It will publish official notice Friday. A change in the owl’s status might not have a huge effect on regulations, which were overhauled as part of the Northwest Forest Plan during the 1990s. But EPIC legal coordinator Tom Wheeler said the change would strengthen the regulators’ hands. “It’s going to enable the Fish and Wildlife Service to really have more proactive protections for the owls,” Wheeler said. The agency would have more leverage to demand protections for the owls in the course of major federal land-use actions. Conversely the agency would not be able to easily grant exceptions to the regulations. 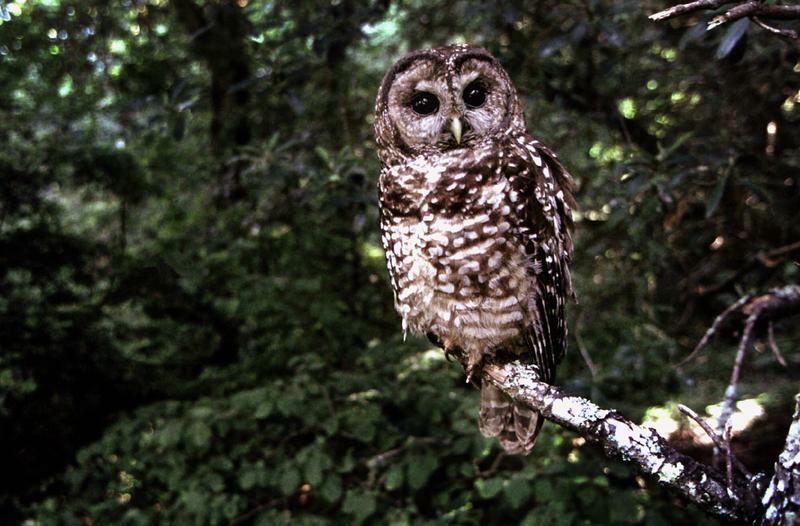 The spotted owl remains an icon of the so-called “Timber Wars,” contentious fights between environmentalists and the timber industry. Wheeler said the landscape is very different now. “This is not like the listing in 1990. This is not going to start or reignite another timber war, and the industry recognizes that,” he said. Cindy Mitchell of the Washington Forest Protection Association, an industry group, said she is concerned about reopening old wounds, but that her members are willing to talk about it. “If there can be calm, scientific approaches to the spotted owl and what is actually happening, then I think it could be a rational dialog. But that’s more of a hope more than anything,” she said. 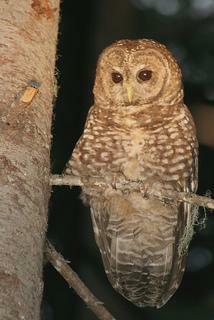 Any decision to “up-list” the northern spotted owl as endangered would likely take until 2017. Meanwhile wildlife managers are considering other measures to protect spotted owls, including shooting the owls’ main competitors, non-native barred owls. Dozens of prominent environmental groups including the Sierra Club and Friends of the Earth are asking President Obama for help protecting old-growth forests in the northwest. Steve Holmer, with the American Bird Conservancy, says a new rule designating critical habitat for the northern spotted owl has loopholes. A new plan released yesterday for saving the northern spotted owl is taking aim – maybe literally – at a rival bird. Federal agency leaders said Thursday the spotted owl is losing out to a bigger, more aggressive invader from the eastern United States, the barred owl.